For avid skiers, there are few ski spots more breathtaking than Lake Tahoe. This popular mountain destination is so much more than just a great summer destination, as Tahoe boasts some of the very best skiing in the country. With a number of quality ski resorts surrounding the idyllic Lake Tahoe, this West Coast hotspot is a place every skier and snowboarder should visit at least once. If you want to ski down manicured slopes with jaw-dropping views of the cobalt blue lake and the surrounding Sierra Nevada Mountains, there's only one place to visit - Lake Tahoe. 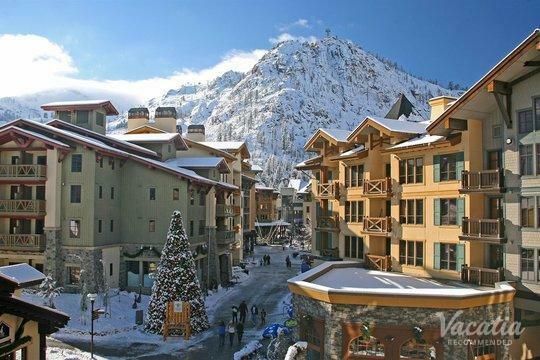 To make the most of your ski trip to Tahoe, let Vacatia help you find the perfect accommodations for your stay. 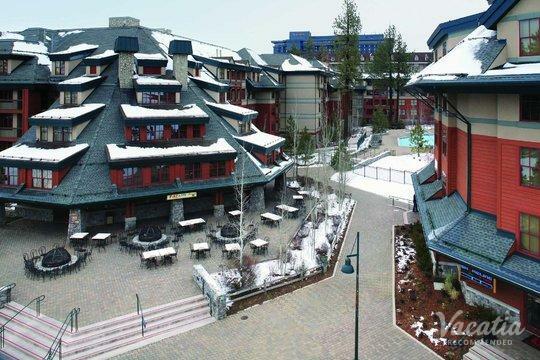 If you want to stay close to slopes, work with Vacatia to book your stay at one of the best Lake Tahoe resorts near ski resort. Vacatia can ensure that you find a rental property that checks all of your boxes, which means you'll be able to enjoy every moment of your stay in beautiful Lake Tahoe. Lake Tahoe is home to some of the very best skiing on the West Coast, which is why it's such a popular winter destination. Surrounding Lake Tahoe, there is more than 22,000 acres of skiable terrain, and each ski resort boasts breathtaking views of the neighboring mountains and the shimmering Lake Tahoe. 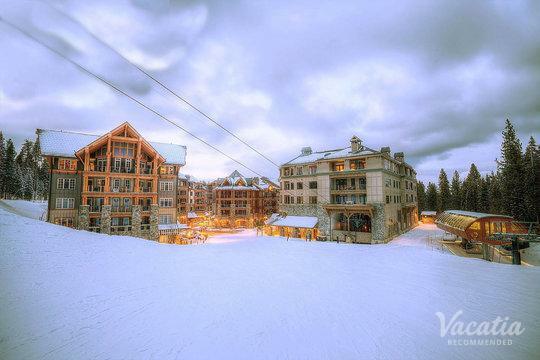 Whether you are planning a ski trip with your family or a romantic winter getaway with your significant other, you should work with Vacatia to find accommodations that perfectly meet your qualifications. When you stay at a Vacatia rental property, you're sure to feel right at home during your upcoming Lake Tahoe retreat. Every Vacatia rental property is considered a "resort residence," as it combines the space and comfort of a home with the luxury of a resort. This means that you can wake up, whip up breakfast in your fully equipped kitchen, and step outside to hit the slopes. There's no better way to experience the beauty and excitement of Lake Tahoe than by staying at a Vacatia rental property, so be sure to let Vacatia help you plan your next ski trip. Lake Tahoe is a small slice of paradise in the Sierra Nevada Mountains. The lake straddles the border of California and Nevada, which means that you can ski in either state during your upcoming Tahoe trip. Lake Tahoe is home to several top-rated ski resorts, including Mt. Rose, Heavenly, and Northstar. These ski resorts are known for their fresh snow, manicured slopes, and breathtaking lake views. Whether you are a novice skier or a seasoned professional, there are plenty of runs you'll love when you ski Lake Tahoe. 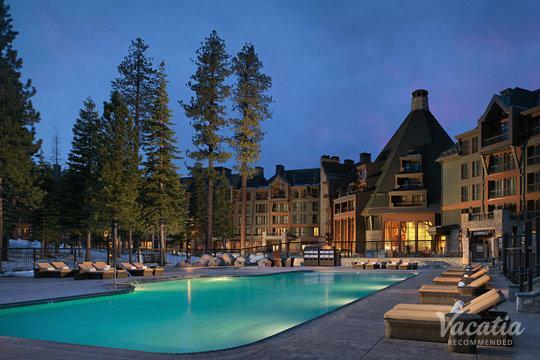 So if you want to make the most of every second of your Lake Tahoe trip, you should stay at a rental property near one of these world-class ski resorts. 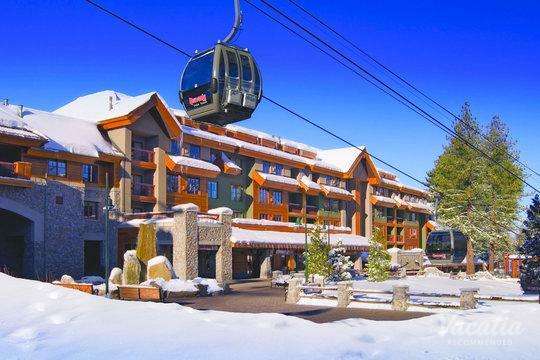 Let Vacatia help you book your stay at one of the best vacation rentals in the area so that you can create lasting memories on the slopes of Lake Tahoe.